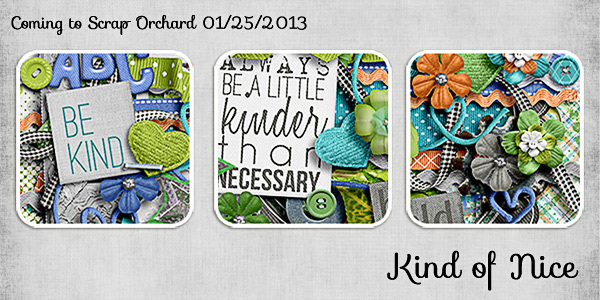 This entry was posted in Giveaway, Sneak Peek and tagged digital scrapbooking, giveaway, sneak peek by admin. Bookmark the permalink. Oh so cute, girls! Thanks so much for the chance to win it! Thanks for the chance to win one of your beautiful kits! I love the colors and kindness theme! Thanks for the chance to win. Beautiful kit, as usual. Oooo oooo oooo!!!! I wanna win! Thanks for the chance! *hugs* ladies! I love the green and blue – gonna have to put this on my wish list! Such a sweet kit! Perfect for our home! Thanks! Looks beautiful, thanks for the chance! looks fabulous!!!! thanks for the chance to win! I like the Word Art that I see. Thanks! Oh this looks like a stunning kit! I LOVE the colors and the little hearts! Ooh…can’t wait to see the whole thing. Thanks for the chance to win it! What a beautiful kit. I am new to digi scrapping and am just buiding my stash. This would be a great addition! Beautiful once again! Thanks for the chance to win!! Looks awesome, you guys always pick the best colors!! Thanks for the chance! OF COURSE the kit looks WONDERFUL!!! When have you all not made a wonderful kit?! 😀 THANKS for giving us this chance! What a beautiful kit! I like the theme….we all need to be kinder to one another and respect each other regardless of each other’s opinions. Thanks for the chance. Thanks for chance to win. I have been praying for my grandbaby’s character and kindness was the 1st one I prayed about! I would love to do a page with this kit about that! How perfect! Your kits are always so interesting – lovely, versatile, but with an unusual twist. Thanks for the chance to win! Gorgeous colors!! Thanks for the chance to win! The colours look great. Thanks for the chance to win! you’ve hit another one outta the park! GORGEOUS! I always love your colour combinations…love the turquoise and lime green! Looks so bright and fun! Thanks for a chance to win! So *kind* of you to offer us a chance to win it. Thanks, Ladies! I love the shade of blue you’ve used; the combo of it plus the orange and green are to die for! This looks very pretty. Thanks for a chance to win it. Looks gorgeous!..thanks for the chance to win. Love the kit name. Reminds me of my kids who are out on an extended break from school. Looks fantastic! Thanks for the chance. This looks adorable, especially the word art! Thanks for the chance to win! This looks super cute!!! Thanks for the chance to win it!! Looks like a fun kit to scrap with, would love to win. Thanks for the chance! Thanks for the chance. The colours are lovely. It would be Kind of Nice to win this beautiful kit! Thank you for your kindness & generosity. 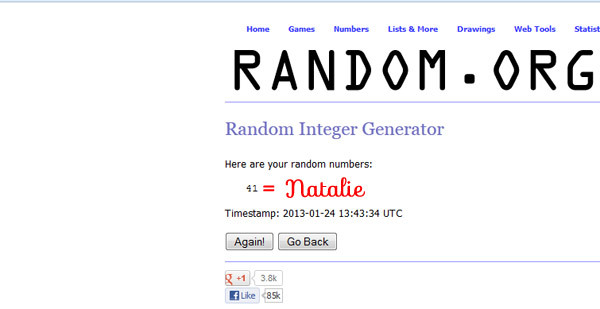 Thanks For The Chance To Win!…Awesome!